It's safe to say, it has been a while. I've been meaning to do an update for quite some time and it was only when Megan updated her blog that I actually got a kick up the backside to do it myself. Basically, I'm here to say that I haven't disappeared forever, and that I plan to be posting again ASAP, even within the next few days or weeks if time will allow it. I've got excuses all over the place but to be honest only two of them are actually decent enough to be mentioned in the post. I think that says something about my motivation over the past month or two - non existent. 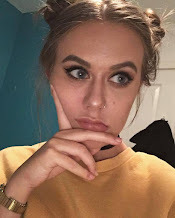 Firstly, I think I underestimated the stress of A Levels, I'm days away from beginning my AS exams and so the pressure is mounting and unfortunately things like blogging have to take a back seat every now and then. At the same time though, I'm getting more interested in universities; I currently have the aim of doing a History degree because it's my favourite subject, but also a hard one to get onto in terms of entry requirements - even more reason to increase the revision big time. To be honest, it is pretty hard to maintain your education, part time job, driving lessons and something like a blog all at once at the age of 17. Other than that, when my motivation came back, my health decided to somewhat bail on me and I got really poorly. Its not the most interesting of topics to be writing about, but its an excuse. I've almost entirely recovered from whatever mystery illness I had (it look its toll on me whatever it was), but because of not being able to go to school, do any revision or keep in touch with school work whatsoever whilst being poorly, yet again I had to sling the blogging to one side while I caught up with all that. I don't really know what the purpose of this message is, but to be honest, it was mainly just a reminder that I'm still here, will be making a return, and that generally life is good for my part. Hopefully, I'll be doing much more of this soon. I can relate so much having to balance AS/A Levels, driving lessons, running a blog at 17 - so much to think about!